Over the last 20 years, there are three things we could count on: Death, taxes, and the Western Conference being far superior to the Eastern Conference. For whatever reason, the West has commanded the lion’s share of the elite talent in the league — not to mention the dynastic squads — starting with the three-peat Los Angeles Lakers, and followed by both San Antonio and now Golden State. LeBron James was the shimmering beacon of hope for the East over the last 13 years. However, even LeBron jumped ship by abandoning frigid Cleveland in favor of Los Angeles. The Eastern Conference still doesn’t have the depth when compared to the West. Bottom-feeders in Brooklyn, New York, Chicago, Cleveland, and Atlanta are all awful. Out west, the only team looking like a non-factor for a playoff spot is Phoenix. With that said, trends have slowly began forming when viewing the league’s landscape. In a short amount of time, the East has suddenly built four very good teams — with three of them possessing title-contending talent. Toronto was very good last year — though no one expected a DeMar DeRozan-Kyle Lowry pairing to equal a Finals appearance. However, the Raptors’ front office did exceptionally well in procuring disgruntled Kawhi Leonard from the San Antonio Spurs. Leonard is a massive upgrade from DeRozan. He’s arguably the best two-way player in the NBA — not to mention being a former NBA Finals MVP. Unlike DeRozan, he won’t shy away from big postseason moments. Along with that, Toronto’s roster is deep, long, athletic, and highly versatile. It’s also got the personnel to play against a number of styles — particularly when switching on all screens defensively. Boston is the deepest team in the East. Though the Celtics have gotten off to a slow start in 2018, it’s not hard to envision this team clicking on all cylinders once the playoffs roll around. There’s immense ‘switchability’ with the Celtics’ trove of wings (Jayson Tatum, Gordon Hayward, Jaylen Brown). Marcus Smart and Terry Rozier are elite bench players, and Kyrie Irving is a true stone cold killer when asked to get a bucket. Duly, Brad Stevens is already a top-five coach — something normally needed when competing for a title. Philadelphia holds the most high-end talent of any team in the Eastern Conference. One could make a case that Jimmy Butler, Joel Embiid, and Ben Simmons are three of the top seven players in the conference. At the very worse, the trio is on par with any other grouping other than Golden State. We aren’t quite sure how it’ll all work with three ball-dominant players. However, the 76ers are ridiculously gifted. 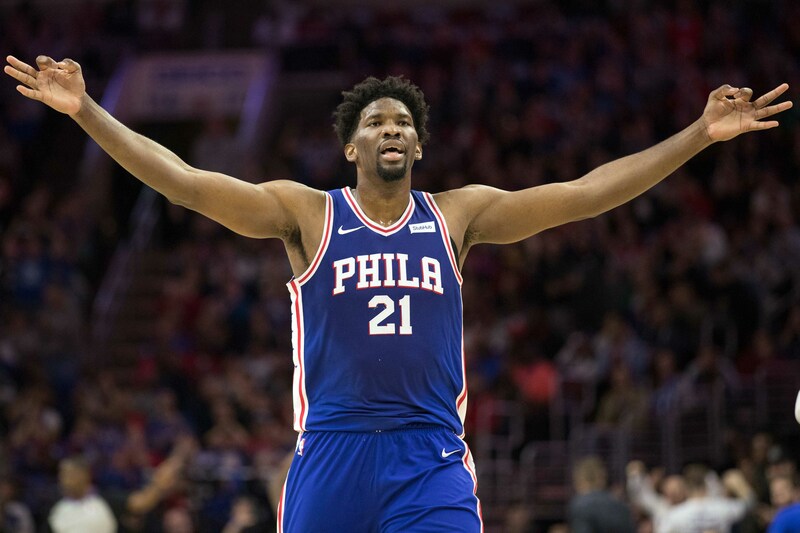 Butler is a ‘dog’ on both ends of the floor, Simmons is a 6-foot-10 freak at the point guard spot, and Embiid is the true unicorn in today’s NBA. Milwaukee is the NBA’s biggest surprise amidst the early part of the 2018-19 season. The addition of head coach Mike Budenholzer has allowed for the Bucks to push the tempo — and thus create more opportunities on the offensive end of the floor. The team is far more efficient than its been in recent years. Additionally, the team is launching far more threes in its modernized scheme. 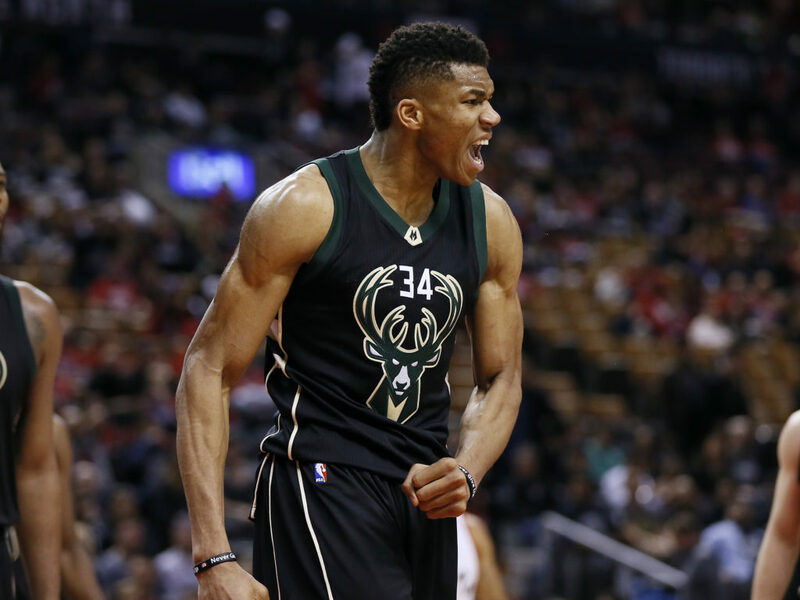 When it comes down to it, Giannis Antetokounmpo has taken his game to a completely new level. He’s hovering around averaging a triple-double — and appears to be unstoppable when taking the ball to the cup. Though Milwaukee isn’t as talented collectively as the aforementioned teams, it still has a chance with Giannis at the helm. With Houston and Utah struggling, and the Lakers trying to find itself, a real possibility (in a hypothetical sense) could see all four East teams slotting in right behind Golden State as the next four best teams in a super conference. When’s the last time the East could state that claim — or even be in the discussion to make that assertion? We haven’t even mentioned the other elite talents in Victor Oladipo, Bradley Beal, John Wall, Andre Drummond, Blake Griffin, or Kemba Walker. Without question, the East is making a push back towards relevancy. It will be fascinating to see whether the Warriors cakewalk to another title — or if a new squad comes out of nowhere in the post-LeBron East to challenge them in the Finals.